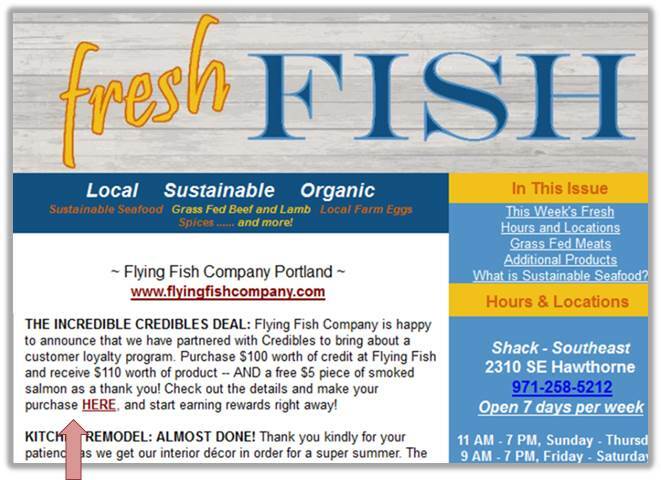 A bigger Flying Fish: how customers fund the shack’s upgrades - Credibles: crowdfunding and gift cards for local food businesses. Enjoy a prepaid Credibles tab. August 22, 2013 by arnohesse. 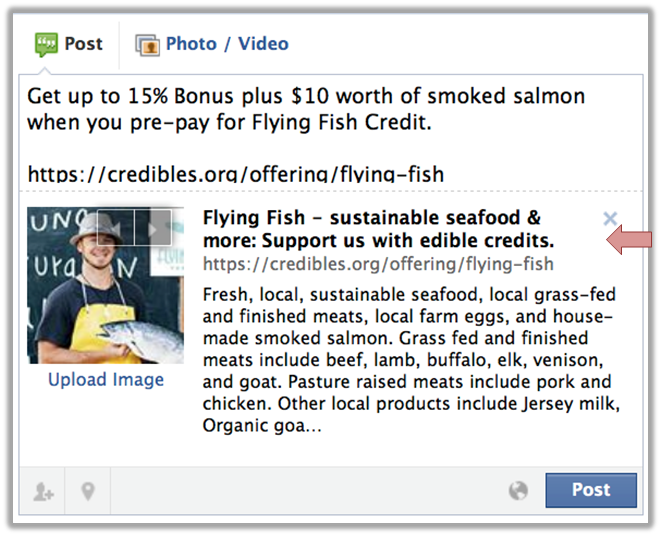 Flying Fish is a small seafood store in Portland OR, committed to supporting local sustainable seafood and grass-fed meats. 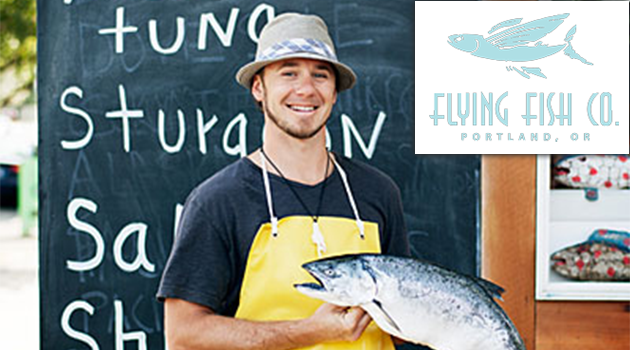 In 2011, owner Lyf Gildersleeve and his family first opened Flying Fish in Portland out of a truck. 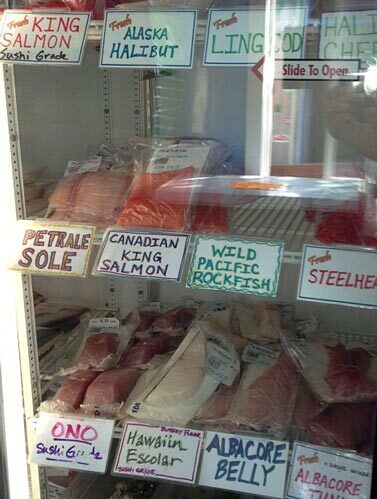 Since then, they moved to a little “Fish Shack” on Hawthorne Blvd. 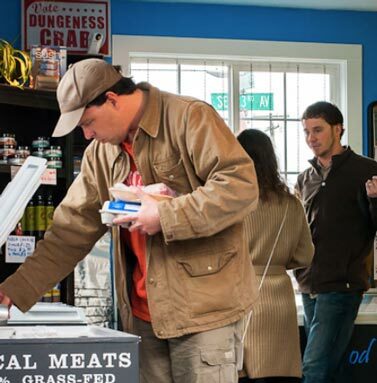 Fresh seafood at Flying Fish is never frozen. That’s why refrigerator space is important. To offer a broader variety of products, the store needed a second refrigerator – and funding to pay for it. With Credibles, Lyf raised over $6000 from his customers within a few weeks. The new refrigerator is now in the store. Lyf also purchased a much needed vacuum sealer for his smoked fish and bacon products. Flying Fish customers enjoy the increased product range at the store. I love the new location on Hawthorne. I can get veggies and fruit too and a few special goodies. like cheese, meat, and eggs. Offering perks for his campaign each included a portion of his delicious house smoked salmon and such intriguing items as a free sushi class and a fishing trip for their “superhero level” supporters. Enticing yet concise. Conveniently linked to Credibles. Lyf has been communicating often to fans and customers throughout the campaign. Again, always linked to the funding page.